When you start finding silverfish in your home, it can be disconcerting. These creatures look like something you might see in a science fiction horror movie. Up close, they look like little armored land fish that could crawl into your ear, while you sleep, and nibble on your brain. So, it is only natural to wonder if these pests are dangerous. But danger comes in many forms. That's why we put together this list of questions we get about silverfish. We'll leave it to you to decide whether or not these creepy little insects are dangerous. Do silverfish crawl in ears and lay eggs? Like the earwig, silverfish have earned a reputation for climbing into the ears of sleeping people and laying their eggs. This is not true for either of these insects. While there are documented cases of bugs being found in the ear canal of patients experiencing ear pain, it is rare. And, while there is a recorded incident involving a spider laying eggs in someone's ear, never has there been a report of insects eating brains. These pests are not known to bite humans, nor do they have an inclination to do so. Silverfish are not a blood-eating insect. They dine on carbohydrates, sugars, and starches. They are also particularly fond of the cellulose found in wood products. Do silverfish crawl on people? These little silver insects enjoy eating dandruff. If you have dandruff, you may find these bugs crawling on you while you sleep, or crawling around on your hairbrush in the bathroom. Unlike cockroaches, this pest isn't going to bring disease into your home. It is considered a nuisance pest. But, silverfish can climb around in your trash and spread harmful bacteria to your food prep areas or pantry. It is, however, unlikely. Will silverfish eat my photos? Do you remember back when we used to get photos developed? If you've stored these old photos in your attic or basement, you're going to want to make sure they are in sealed plastic containers if silverfish have been found in your home. These pests love the taste of old photos. Will silverfish eat my drapes? They can. Silverfish love to nibble on natural fibers like cotton, linen, and silk. They are also known to dine on synthetic fibers and even leatherwear. If you don't want holes in your sheets, drapes, and blankets, you're going to want to do something about your silverfish problem. Will silverfish eat my clothes? As mentioned above, silverfish damage natural and synthetic fibers. But, it is important to note that they are going after the starches and adhesives in your clothing. If you use starches to press certain clothes, they will be more appetizing to silverfish. Clothing with stains or spills on them, especially from sugary foods and liquids, will draw silverfish in. These pests are also drawn to damp clothing that has been thrown on the floor. Yes. Silverfish are drawn to the glues in book bindings and on covers. This can cause them to do significant damage to the books in your library or on your selves. If you have books that are particularly valuable, you will want to store them somewhere safe and sealed. Do silverfish get into pantries? Yes. These bugs can find a lot of things to nibble on in your pantry. Some of their favorite human foods are sugar and coffee and foods with carbs. While silverfish aren't dangerous to humans, they can be dangerous to the items in our homes. They are also a sign that your home has entry points that other, more dangerous, bugs can use to gain access. 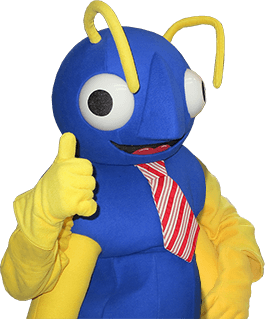 If you don't want creepy, alien-looking bugs crawling around in your home, destroying your fabrics, wallpaper, photos, and important documents, Big Blue Bug Solutions will be happy to assist you in getting rid of them. Get plugged in today and start sealing pests out.